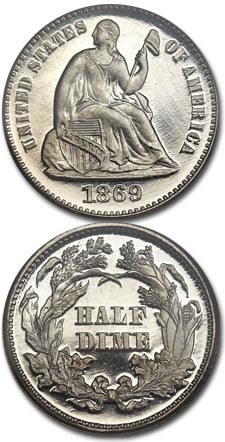 The half dime was the first denomination struck when the U.S. Mint was established in 1792. It was a lynchpin of the decimal coinage system envisioned by Jefferson and Hamilton, a system based on a method invented in Europe two centuries earlier. Decimal coinage was revolutionary, a departure from all other currencies then in use. 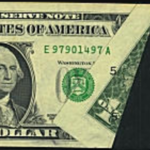 The new U.S. dollar, unlike the familiar Spanish dollar with its eight parts or bits, was divided into tenths and hundredths. 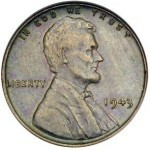 Above the copper cents and half cents, the half dime was the smallest denomination. It was also the smallest silver coin minted until the introduction of the silver three-cent piece in 1851. The subsidiary silver coinage of dimes and half dimes served as the standard against which the millions of other coins in circulation were valued. Prior to the Civil War, half dimes circulated alongside many odd foreign coins. Spanish coins, in particular, were square pegs trying to fit in the round holes of the decimal system. 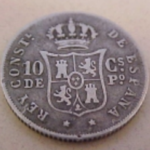 Spanish reales (bit) and half reales (half bit) circulated as twelve and six cents. Very worn pieces were colloquially called the levy, a corruption of “eleven pence” and fip (“five-and-a-half pence”)terms dating back to colonial times. When sold for bullion at the mint, these worn pieces were discounted, and valued only at a dime and half dime, respectively. Technology, primarily the steam press, made coins easier to manufacture. In 1837, the portrait and eagle designs used on the earlier half dimes, including the preceding Capped Bust type, gave way to the beautiful and scientifically constructed Seated Liberty and wreath design by Christian Gobrecht. The eagle never again appeared on the half dime. When the Seated Liberty quarter was introduced in 1838 with thirteen stars surrounding Liberty, the tradition of design uniformity among coins of the same metal won out over art, and the clean, uncluttered half dime and dime received the stars. In 1840, Miniaturist Robert Ball Hughes reworked the figure of Liberty. He added drapery at the elbow, placed the shield in an upright position and made other minor alterations. Many observers feel the sum of his efforts only succeeded in “fattening and flattening” Gobrecht’s sleek design. The California Gold Rush spawned the discovery of huge amounts of the precious metal, causing the value of silver to rise in terms of gold and resulting in widespread exporting and melting of silver coins. By 1853, the government was forced to reduce the amount of silver in coins to prevent them from being melted. Arrows pointing outward were added to either side of the date on the half dimes from 1853 through `55, signifying the change in weight. They were removed for the coinage of 1856. 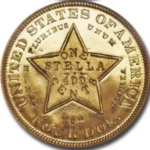 The design was again tampered with in 1859, when Engraver James Barton Longacre’s assistant, Anthony C. Paquet, created a new version notable for its hollow stars surrounding the Seated Liberty. Some pieces were made in 1859 and 1860 with this obverse, and with the new reverse wreath of later issues. Lacking the legend UNITED STATES OF AMERICA, these “coins without a country” are really fantasy pieces, being neither patterns nor intended for circulation. In 1860, Longacre redesigned the Seated Liberty half dime for the last time. Known as the Legend Obverse type, it retains the seated Liberty figure holding a pole topped with a Liberty cap. The legend UNITED STATES OF AMERICA replaced the thirteen stars that surrounded Liberty on previous versions. Longacre discarded the simple reverse wreath, using an elaborate one made up of sprigs of corn, wheat, oak and maple and tied with a bow at the bottom (this “wreath of cereals” motif was also used on the Seated Liberty and Barber dimes). The denomination HALF DIME appears within the wreath. Besides the Philadelphia Mint (no mintmark), the coin was minted in New Orleans in 1860 (O) and in San Francisco (S) from 1863-1873. The mintmark is found below the bow, except on the San Francisco issues of 1870 through early 1872, where it appears within the wreath. Although 15,573,280 Legend obverse half dimes including 10,040 proofs were minted in the thirteen years of its existence, the effects of civil war, bullion melts and use as jewelry ravaged the issues from the 1860s. Several small hoards have been uncovered that yielded a few uncirculated specimens from this period. Other uncirculated specimens have surfaced in original mint wrapped proof sets. Whether this occurred due to indifference or carelessness by mint employees remains unclear. 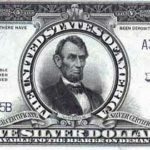 The dates found most frequently in uncirculated condition are those from 1860 through 1862 and from 1870 through the end of the series in 1873. Unquestionably, 1870-S is the rarest and most fascinating Legend Obverse Seated Liberty half dime. When construction started on the second San Francisco Mint in 1870, coins minted specifically to commemorate the occasion were placed inside the cornerstone. Only one 1870-S half dime was supposed to exist (and the mint building still stands), but in 1978 a duplicate specimen was reportedly found in a dealer’s junk box. The coin’s display at the 1978 ANA convention caused quite a stir. It subsequently sold for a six-figure price. When grading this design, look carefully at the surfaces of the fields to check for hairlines, evidence of cleaning, removal of solder or retooling of the design elements. Half dimes were heavily used in jewelry during the 1870s and 1880s and were popular as tie tacks, cuff links, buttons and pins. The obverse will first show wear on Liberty’s kneecap and breast. On the reverse, check the bow of the ribbon and the leaves in the wreath. Although it is possible to assemble a complete uncirculated set of Legend half dimes by date and mintmark (sans the 1870-S), few collectors try. This design is more popularly collected as part of a “type” set of 19th century issues that might include the major varieties of the Gobrecht design. A small but interesting collection could be a Legend half dime from each mint. This would include the only New Orleans coin, 1860-O, a Philadelphia issue and one from San Francisco. The set could be expanded by including examples of both mintmark positions of the San Francisco coins. The Coinage Act of 1873 changed the weights of dimes, quarters and half dollars to conform with metric standards. The bill approved by President Ulysses S. Grant went into effect on April 1, automatically ending the production of half dimes and dollars, as they were not mentioned in the legislation. The need for a five-cent coin was filled by the Shield nickel, which had been in production since 1866.